At Girona, one of the most interesting meetings between two teams in the fight to avoid relegation was played. Paradoxically, there are two bands of value that would not normally have to be in this area. Only they have crossed the bad times that have brought them into this situation, and now they are forced to find solutions to get rid of the problems. 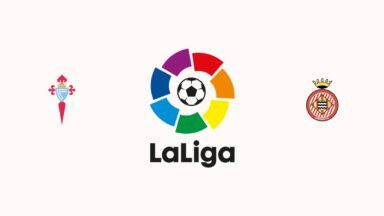 The match between the two will be disputed Sunday, April 14, 2019, from 19.30, on Estadi Municipal de Montilivi. Girona has a sinusoidal path lately. After just three steps he seemed quiet, having 9 points more than the first relegable place, a team threatened after three consecutive defeats. There are only four points remaining between her and the 18th place, but this difference can be reduced after this meeting. The big problem of the hosts remains ineffective in their home meetings, where they managed to win only twice in the 16 games played. He is the last to be ranked in such a hierarchy, with only 12 points conquered by Montilivi. Too long absence of the two wings, Aday and Johan Mojica, negatively influenced the whole team game. Cristhian Stuani marks again in almost every stage, but sometimes his achievements are not enough. He now has 18 goals scored and continues to rank third in the La Liga scorecards after Lionel Messi and Luis Suarez. Villareal only scored one point in the last three games and returned to a relegable place. We can say he was one of the most unlucky teams. He led 2-0 to Vigo and 4-2 to Barcelona, ​​but only one point. Betis had 11 meters in the 89th minute and could have scored the score, but the penalty shot was missed by Santi Cazorla. These can be the results of the fatigue that has accrued for guest players. The team continued in the Europa League, where it is present in the final quarter finals. Lately, he has had 3 games each week, and this leaves traces for a very demanding band without a balanced lot. Karl Toko Ekambi has scored as the scorer of the team, with 8 goals scored so far. Santi Cazorla remains one of the best players with 4 goals scored and 8 decisive passes. He is best noted by journalists from all of Villareal’s team. Joe Villareal has a new match in the Europa League with Valencia, and it remains to be seen how the players will react after only two days in a very important match for survival. Girona will have the whole week to prepare this game. But I notice that the “yellow submarine” has always succeeded in achieving good results even after long journeys in the European competition. Players understand the club’s strategy and give it all to succeed. 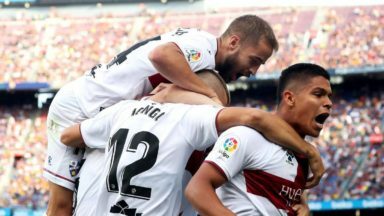 The match between Girona vs Villareal is announced one open to any result, both of which need high points.